Buenos Aires-based John Gallagher looks at the economic situation in Latin America and studies how recent currency fluctuations are affecting the duty free business. Currency devaluations in Brazil and Argentina in May and June have led to severe currency fluctuations in both countries, with an overspill that impacts all facets of their economies including the travel retail channel. After a strong finish to 2017, the travel retail business expected a stable year in 2018 with both countries forecasting further growth, higher inward investment and stable employment. 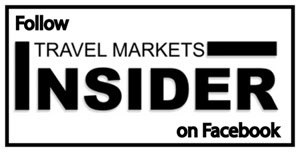 Regional tourism was strong in January and February with airports and ferry companies reporting high single-digit and low double-digit increases in traffic. March and April were slower, but not yet worrisome. Since May, however, the current fiscal crisis has led both the Macri government in Argentina and the Temer administration in Brazil to rethink the short-term future. Both presidents need to ensure the short-term well-being of their countries and worry about the medium term later on. Temer is trying to ensure his party wins the next elections so he can continue the economic reforms he has timidly carried so far, and Macri is seeking reelection in next year’s Argentine elections. Neither scenario is conducive to sensible economic management. Argentina’s current currency woes have resulted in a sharp drop in outbound air bookings. The Argentine peso started the year at around 18 pesos to the US Dollar, floating to around 20 in March. But in May speculation about devaluation and economic uncertainty pushed the currency to just over 28 pesos to the dollar, despite the Argentine Central bank spending millions of dollars in reserves to shore up its value. Changes in the government economic team, the resignation of Federico Sturzenegger, the President of the Argentine Central Bank, and a $50 billion rescue package form the IMF have stabilized the market, at least for the moment. The government is fighting to keep the dollar below 30 pesos but results are not guaranteed. One big problem facing Macri is the high inflation, which has slowly climbed once again to around 30%. In addition, unemployment is rising, interest rates continue to be stubbornly high and the government has revised GDP growth estimates downwards. Economists forecast growth for 2018 will be between 1.0% and 1.5%, down from original forecasts of around 2.0%. The IMF deal will allow the government to refinance external debt but will likely bring some degree of fiscal austerity. Details of the IMF bailout have not yet been announced. We expect that fiscal deficits will have to be reduced, government subsidies cut, and infrastructure projects reviewed. The Macri government has not been able to meet its own inflation and economic targets so it is difficult to imagine how they will meet the stiffer targets that the IMF could impose. GDP growth for H2 will slow – agriculture could suffer as a nationwide drought affects harvests and the feeble economic situation is bringing more labor problems as the powerful unions strive to maintain purchasing power for their members. Social unrest is likely; the powerful truckers union has already staged a one-day general strike. More action from the unions is likely to follow. The construction business, which reported strong figures in Q1, is slowing and Q2 figures will be poor. Supermarkets report stagnant sales and consumers are reconsidering purchases. Sales of new cars fell in June for the first time in two years. However, tax revenues are running ahead of inflation. For the first time in recent memory, online travel agencies and hotel chains are reporting slow bookings and reservations are down for the rest of the year. Travel data tracker ForwardKeys confirms that outbound travel bookings collapsed after the Peso crashed in May. In late June, the company said that bookings for travel from Argentina to neighboring Latin American countries (which have the largest share of Argentina’s outbound travel, at 43%) slumped year-on-year by 26.1%. The Macri government has been examining overseas travel habits of Argentine residents as it worries about the negative deficit in foreign currency movements. But the government is denying rumors about a possible surcharge on credit card use outside of Argentina and increased taxes on international air tickets. The Central Bank says that credit card use by Argentine residents abroad has fallen substantially in May and June. We can relate almost the same story for Brazil and the Brazilian Real. The year 2018 started with the Real valued at 3.2 to the US Dollar, in line with the value it held for the whole of 2017. But from mid-January the Real started weakening, initially slowly in March and April but gathering a furious pace in May to reach 3.90 at the beginning of June. For almost a month, it stabilized slightly in a band between 3.75 and 3.85. The economic recovery noted in the second half of 2017 has stalled. Q1 was a slow three months with unemployment up, investment down and exports lower than expected. The strike by Abcam, the powerful Brazilian truckers’ union, slowed business throughout the country and the government had to reverse several austerity measures to broker a peace deal with the drivers. As economic data continues to be poor, growth estimates for the year have fallen from just under 3% to just over 2%. Brazil’s October elections inhibit the Temer administration from further action, leading only to more uncertainty. The question is which candidate can unite the passion of the Brazilian electorate? Most opinion polls indicate that center right candidates will not do well against left of center candidates. Brazil’s economic reforms are still necessary, yet it is questionable if any candidate proposing austerity can be elected. The election is crying out for a charismatic candidate like Lula but with a degree of economic sobriety. There are only three months to go before the first round of voting, but following years of graft and corruption, and with more than 20 politicians serving prison sentences for various misdemeanors, this election is difficult to predict. Lula is not allowed to stand (given his conviction for fraud and money laundering) yet despite being incarcerated in Curitiba, opinion polls show him as the most popular candidate of all potential presidential aspirants. When Lula is excluded, the leader in all polls is right wing candidate Jair Bolsonaro, a former general and a supporter of the last Brazilian military dictatorship. But Bolsonaro is considered unlikely to win a second round as his extreme views worry potential allies. Sometimes described as the Brazilian equivalent of Donald Trump, he appeals to many voters tired of mainstream politics, but would be unlikely to win a runoff vote if he were to finish in the top two in the first round. The current economic and political situation has not benefited the travel retail business. Currency fluctuations have always been the biggest enemy of the border duty free trade, and recent events have been no exception. After a quiet but solid start to the year in January and February, most duty free retailers in Uruguay, Paraguay and Argentina report very slow sales over the last two months. A leading retailer who asked to be anonymous says that the general feeling is that the situation will not improve until after the Brazilian Presidential elections and the Argentine Peso stabilizes. The expected inauguration of border stores on the Brazilian side of the land border with Paraguay, Argentina and Uruguay seems to have been postponed. “The Brazilian Customs Authorities have got too much to do now without trying to control a new business segment,” the retailer commented. Even though Argentina and Brazil have been struggling, Chile, Peru and Colombia have all enjoyed solid growth during the first half of the year. All three countries have enjoyed stable economic conditions and GDP growth forecasts for the year and the medium term are sound. In Chile, GDP is forecast to grow at 3.5% in 2018 and 3.3% for next year. Business-friendly president Sebastián Piñera took office in mid-March, and growth figures could be revised upwards. In Colombia, center-right candidate Ivan Duque won the second round of the presidential elections, stimulating a positive business outlook for the short and medium term; GDP growth for 2018 is forecast at 2.5%, rising to 3.0% in 2019. Strong growth is also expected in Peru with analysts predicting 3.6% GDP growth this year, rising to 3.7% in 2019. Following the resignation of former President Pedro Pablo Kuczynsk in March, new president Martín Vizcarra is expected to be positive for the country and its economy. Lima, Bogota and Santiago airports all showed strong passenger growth in the first quarter of the year. Growth may slow in the second quarter given the problems we are seeing in Brazil and Argentina, although the positive trend is still likely to continue for the rest of 2018.